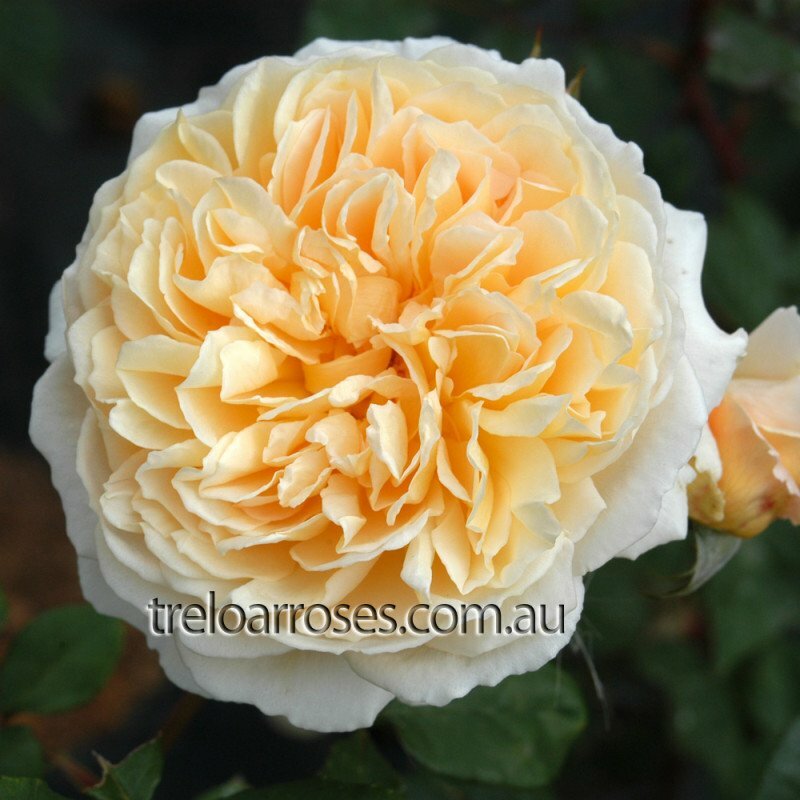 (Auswinter) - A tall, slightly arching shrub. 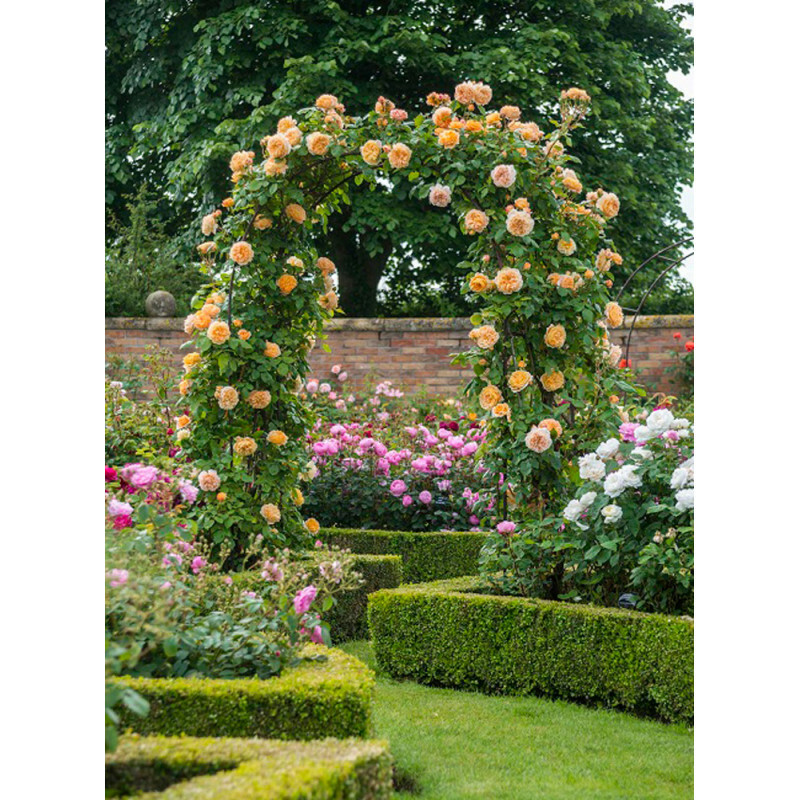 Large, neatly formed rosette shaped flowers of apricot-orange. It is one of the 'Leander' group of varieties. 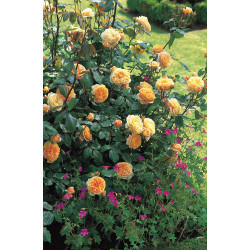 Strong, fruity Tea Rose fragrance. 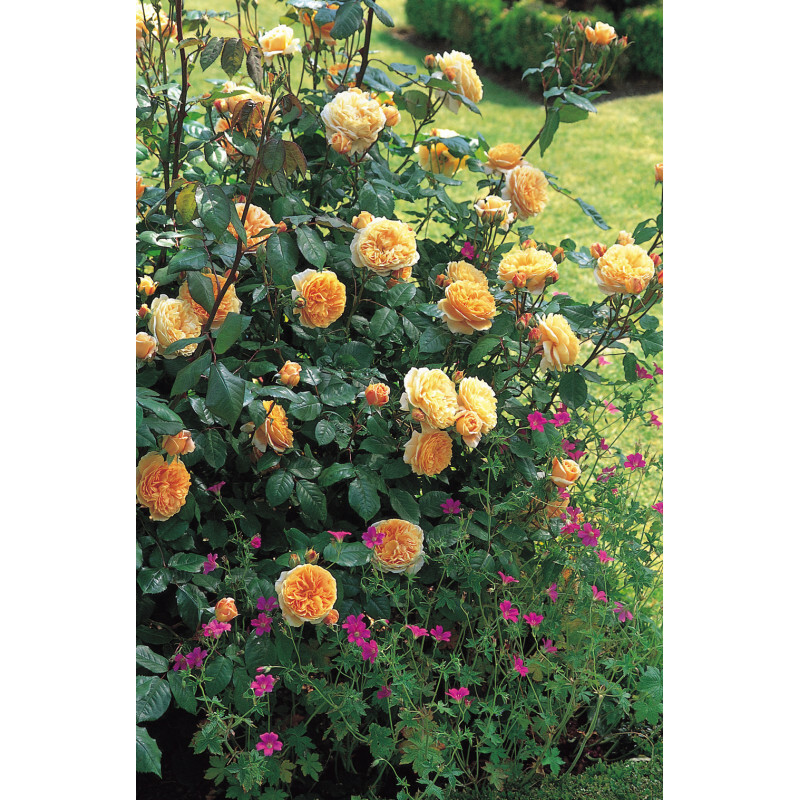 1.8m x 1.4m, or can be grown as a pillar rose.